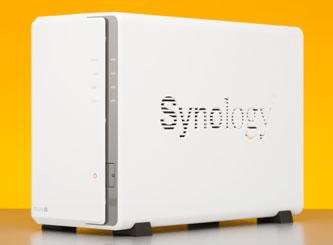 SYNOLOGY DS216J Review – NAS (network-attached storage) boxes aren’t the most glamorous of accessories, and Synology’s are no exception, but they’re known for offering a good range of features at a sensible price. This is the successor to the DS215j, which we recommended, and it keeps the characteristic white plastic box with its vertical strip of indicator lights at the right. Inside are two bays ready for whichever brand and capacity of SATA and hard drive you choose to slide in, which you can use to their full capacity or mirrored (backing each other up) for security. Folder-level encryption is supported. The installed DSM 6.1 software is the same as you’d get with Synology’s more expensive units. It’s set up from a web browser, but free companion apps for Android and Apple devices give you another option, and all the popular online storage services are integrated. 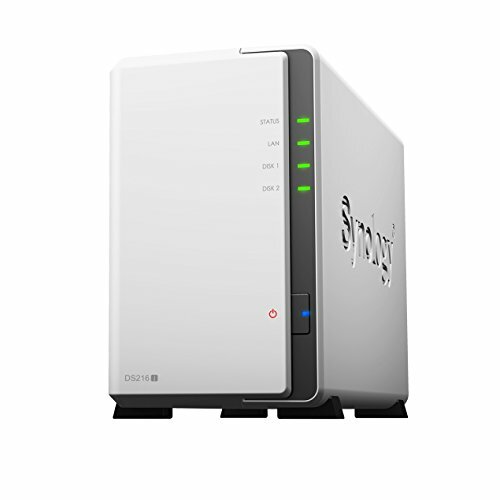 For Mac users, the DS216j plays nicely with Apple’s iTunes and Time Machine, while Synology’s Photo Station image server software will keep anyone’s photos organised – a great use for a NAS in a household that wants one central digital family album. If you want to get techier, you can run a web or email server or a WordPress blog. The 1 GHz dual-core processor can even decode high-quality video, but only using Synology’s own Video Station program; if you install a media player such as Plex, it can stream video files to a PC (which does the decoding work itself).